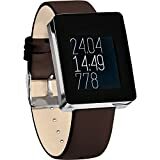 Get a great deal on the top selling Wellograph SmartWatches available today. Wellograph The Wellness Watch, Black Chrome View larger The Wellograph Watch Wellograph is an activity tracker, a heart rate monitor and a running watch in one that delivers live, insightful information about the wearer's activity through simple infographic interface. View larger How It Works The watch back is a Tri-LED Heart Rate Sensor integrated into a soft spherical surface, which replicates the action of a doctor using his/her fingertip to feel a pulse. This unique hardware design allows for an accurate reading of the heart signals. By looking at heart rate information in response to activities, you can see how your fitness has changed or improved over time. The better conditioned you are, the lower your resting heart rate is. View larger 7 Days Per Charge Wellograph lasts up to 7 days on one full charge at continuous use. As you dock the watch, Wellograph's display will rotate to function as a nice landscape analog clock. The vertical, magnetic dock is included with every Wellograph. Designed to support both tang and folding buckle watch straps. View larger The Design The Wellograph design conceptualises a healthy heartbeat and represents it through gentle convex surfaces, the tactile sensation of a pulse pushing upward. The Heart Pumped Surface is designed into all of the high­ touched areas, such as the domed sapphire crystal, the machined aluminum side buttons, and the aluminum case back. The spherically cut part-line divides the top and the bottom watchcase, creating a two­-tone finish that enhances the thinness of the watch. View larger Easy To Read Infographic Screens Idle Time How long you have been idle? Wellograph reminds you to sit less, move more and get active. Today View How many calories you have burned each hour and your total for the day. Exercise Your exercise score based on how much aerobic activity you did today. Fitness After extended use, Wellograph will estimate your true fitness age and rank your cardiovascular fitness. Steps How much you walk today vs yesterday vs the set goal. View larger Designed for a health and wellness experience like no other. Wellograph is the perfect accessory for light to moderate exercise such as tennis, yoga, pilates, walking and golf. It functions as a stopwatch while you walk showing live stats such as current pace and distance covered. It will automatically provide a useful summary stats such as top speed achieved, total steps taken and calories burned. View larger Wellograph App iOS, Android, Windows Phone. Wellograph loves and support them all. Why a watch has to be tied to any particular platform, right? Wellograph is an independent product after all. You can access all the functions right on your wrist. And when you want further data interaction, Wellograph syncs effortlessly with a smartphone on a platform of your choice. 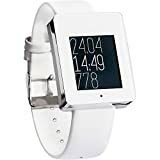 Wellograph The Wellness Watch, Silver Satin View larger The Wellograph Watch Wellograph is an activity tracker, a heart rate monitor and a running watch in one that delivers live, insightful information about the wearer's activity through simple infographic interface. View larger How It Works A Tri­-LED Heart Rate Sensor is integrated into a soft spherical surface, which replicates the action of a doctor using his/her fingertip to feel a pulse. This unique hardware design allows for an accurate reading of the heart signals. You can see how your fitness has changed or improved over time. View larger 7 Days Per Charge Wellograph lasts up to 7 days on one full charge at continuous use. As you dock the watch, Wellograph's display will rotate to function as a nice landscape analog clock. The vertical, magnetic dock is included with every Wellograph. Designed to support both tang and folding buckle watch straps. View larger Sapphire Crystal Display and High Quality Materials Spherical sapphire crystal for maximum display protection and aesthetic effect. Machined stainless steel upper case optimized for strength and thinness. Nickel-free aluminum lower case with matte finish optimized for lightness and skin contact. View larger Beautiful, Simple Infographic Interface Wellograph delivers results as live, insightful information about the wearer's activity through simple infographic interface rather than rambling digits and numbers. It's more enjoying to use this way. View larger For Running & Workouts Wellograph is also a full-featured running watch. It functions as a stopwatch while you run showing live stats such as current pace and distance covered. Once you finish the run, it will automatically provide useful summary stats such as top speed achieved and calories burned. View larger Freedom for All OSes Wellograph supports iOS, Android and Windows Phone. The app's home screen show you a live dashboard. The information is presented as easily-digestible cards. All your runs, stats and workout details are saved. 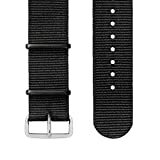 Wellograph Nato Strap, Black. All-weather NATO strap. Comfortable for a wide range of men's and women's wrist. Strap circumference: 7 - 8.5 inch. Well graph - The Wellness Watch Blending fashion and fitness. Well graph is redefining the wearable health market. 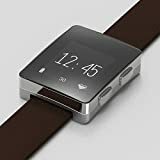 Well graph is an activity tracker, a heart rate monitor and a running watch in one that delivers live, insightful information about the wearer's activity through simple infographic interface. 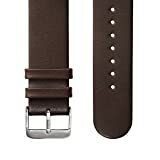 Wellograph Leather Strap, Brown. All-weather genuine leather. Comfortable for a wide range of men's and women's wrist. Strap circumference: 7 - 8.5 inch. Wellograph is a sapphire crystal health watch with an advanced heart rate sensor for 24/7 holistic wellness monitoring. 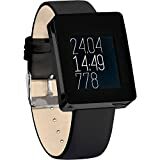 It is an activity tracker disguised as a premium watch that can perform readiness testing and give you your fitness age. It will track activity, sleep, runs and allow you to compete with up to seven of your friends live. The watch is water resistant up to 5ATM and has a battery life of up to 7 days. The Wellograph App is compatible with iOS, Android and Windows Phones. 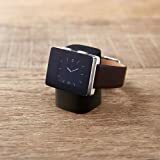 Wellograph Leather Strap, Black. All-weather genuine leather. Comfortable for a wide range of men's and women's wrist. Strap circumference: 7 - 8.5 inch. This Wellograph The Wellograph Watch car charger by ReadyPlug® sports a sleek torpedo shape and provides quality charging. When plugged in this car adapter illuminates from the inside a stylish ultra blue glow. This product qualifies for the ReadyPlug® Lifetime Warranty. Color: Black. Provides Power and Charging while on the road. Works with USB 1.0, 1.1, and 2.0. Charge your cell phones, smartphones, bluetooth devices, tablets, MP3 players, and GPS devices while on the go. This dual-port car charger for Wellograph The Wellograph Watch by ReadyPlug® provides fluid-quality charging. Whether you need a 1A charge or a 2A charge this car charger adapter has it all. Color: Black. Glows blue. Provides power and charging. Works with USB 1.0, 1.1, and 2.0. For cell phones, smartphone, tablet, MP3 players, bluetooth speaker systems, and more. This high-quality Wellograph The Wellograph Watch wall charger replacement (2A) by ReadyPlug® provides quality charging, so you can expect reliable, high performance every time you plug in. This Samsung-style charger works with USB 1.0, 1.1, 2.0, and the latest 3.0. When paired with a ReadyPlug® USB cable you can't lose. Your device will revel in its special treatment and reward you with longer lasting battery life and clean, fast data transfer. Use for your cell phone, smartphone, tablet, mp3 player, portable bluetooth speaker, and more.